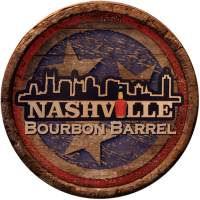 What should a “special release” bourbon entail, exactly? That’s a very general question, but a jumping off point that any distillery must assess when they conceive a special product and then bestow it with a name like “The President’s Choice.” Should that bourbon be meant for approachability and neat drinking—a sort of elevated version of the brand’s best-known, flagship product? Or should it be an overproof monster, favoring intensity over approachability? For Old Forester, the answer swung toward the latter in the release of this new whiskey, timed to celebrate the opening of the brand’s new $45 million distillery on Louisville’s iconic Whiskey Row. The President’s Choice is a single-barrel expression of overproof Old Forester, all barrels being selected by the company’s current president, Campbell Brown. It’s also the revival of a previous Old Forester concept, first established in 1890, of personalized Old Forester bottles known as “President’s Choice” that were never available commercially to the public, save from 1964-1972. As it was then, it is now: Eight-year-old bourbon, in proofs varying between 110-120, described by the distillery as “showcasing the exceptional character and foremost quality that the Old Forester brand has to offer.” At $90 a bottle, the stuff isn’t cheap, but you wouldn’t expect it to be given the proof and single-barrel nature. With that said, let’s get to tasting. On the palate, this is again quite hot, and perhaps a bit overly so, even for the proof. In comparison with Old Forester’s 1920 Prohibition Style entry in the Whiskey Row Series, which weighs in at 115 proof, I would judge this one to be perhaps a little bit hotter—which might be understandable or not, because we can’t be sure if this sample of President’s Choice is less strong (110 proof) or possibly more strong (120 proof). Regardless, this bourbon is certainly big, and it is certainly strong. No one will be complaining about a shortage of character here. Working past the initial alcohol, President’s Choice explodes like a bomb of caramel and baking spices. Strong oak and deep caramel give way to what is just a crazy amount of baking spice notes—cinnamon, anise, clove, nutmeg—that coat the palate and then last forever, as minutes later I could still taste all of those notes. At this point, a splash of water becomes almost obligatory—there will surely be those who decide to drink this whiskey neat, but it doesn’t feel entirely accessible for those purposes to the majority of drinkers. That water smooths out the alcohol as expected, while still leaving strong spice notes and quite a bit of oak, along with a bit of grassy herbaceousness. All in all, this is a very assertive whiskey that should be appreciated by lovers of boozy, “baking spicy” bourbon, but part of me wishes it had come in a format slightly more accessible for neat drinking—one where a splash of water was more optional, and less a necessity. Still, in terms of “character per point of proof,” this is certainly near the top of the heap. If you’re looking for something to blow the doors off, a bottle could be a good investment.